Gabbi Garcia recently wrapped up her fantasy series Encantadia and took her much deserved break from showbiz with a trip with her family. Gabbi's first stop was in Los Angeles, California where she went amusement park hopping from Anaheim's Disneyland to Universal Studios in Hollywood. The 18-year-old actress also got the ~'gram~ at the Urban Light display in LA. Familia Garcia then flew to the east coast in New York where she basked in the bright lights of Times Square, had some fun at the Coney Island Boardwalk, went all touristy at the Brooklyn Bridge and Central Park, and rode the subway, of course! 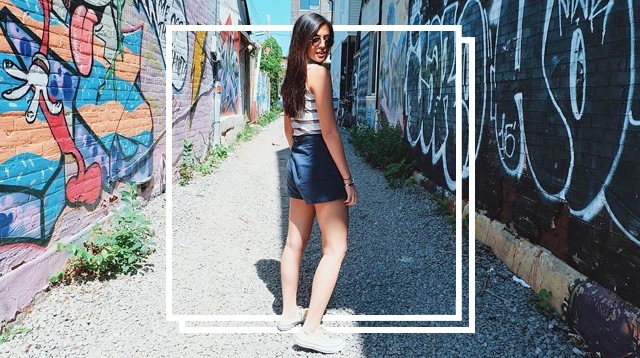 Gabbi is currently in Toronto, Canada for the last leg of her vacation. And, yup, we're seriously keeping our eyes peeled for more of her IG updates! You see, Gabbi, we're living vicariously through you. LOL.